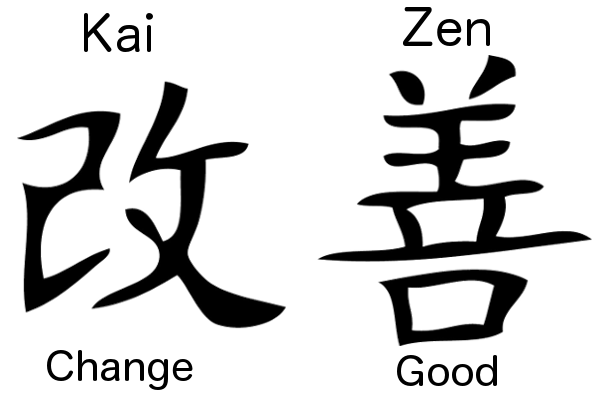 Part 1 of this blog talked about the purpose and set up for this 4 day Kaizen with an Environmental Healthy & Safety group. Part 2, the final section follows. In the first 2 days, we documented five process diagrams (for each of the permits – we found a 5th one! ), identified the wastes within them, interviewed the customers, looked at the data on time, number and types of permits, and permits missed. We began making improvements, such as finding more unidentified permits and share them with one another, to discuss wet signatures, vs. Docusign, vs. no signature, locating and using other websites to share better permit information, standardizing forms between the different groups, and building an ideal map. Purpose: In these two days we learned about the 5 permits together, listened to what the customers needed and how the process was working today from their perspective, moved to an understanding and appreciation of quantitative data, found and implemented quick wins, and agreed to some experiments. In the 8 days in between, everyone went back to normal work, but each did his assignments and experiments, including beginning to formulate an A3 for the project. And we invited guests (3 bosses above the Process Owner) to our final presentation.) Purpose: in theses 8 days we breathed, learned more, developed prototypes, gathered more data, and implemented. Day 3 got off to a ‘raggedy’ start. We wanted to engage some ancillary people who worked on other permits, and asked them to come to our review. They had lots of questions about how this Kaizen related to them, and they wanted to tell us what great things they were doing in the next 16 months. So this work report took longer than expected, but we congealed on what we were doing, and how we would integrate with other groups later. We lost our valuable IT member but got his boss instead who was knowledgeable, skilled and creative. Early successes included deciding we did not need Docusign, and in fact it could only do half of what our customers wanted. We found new sources for permit listings, and developed electronic permit requests for 3 permits, which saved hours of employee time. After lunch we talked about guiding principles for the new design, and then built a new design. The IT person helped to make it simple, but incorporate the various needs, and gave us a reasonable estimate for staff costs and time. Day 4 we reviewed the redesign again (still looked good! ), did a Five Why’s to consider some issues, looked at the A3 and added new elements to it, calculated time, costs, risk benefits from the improvements and recommendations. We then created an implementation plan and looked at roles and responsibilities. We practiced the final A3 presentation and we ready to go. Purpose: the purpose of the last two days is to acclaim the improvements already implemented, keep using data and root cause analysis to peel the onion underneath further wastes and find more improvements, and let the team begin to gain synergy around their work- what they have accomplished, how they should continue to work, and what is coming. The three guests were thrilled with the results so far and the new process. They guaranteed the money needed, and the decision was made to outsource the IT needs to get it moving faster. We expect a full launch date with the new system in Sept.